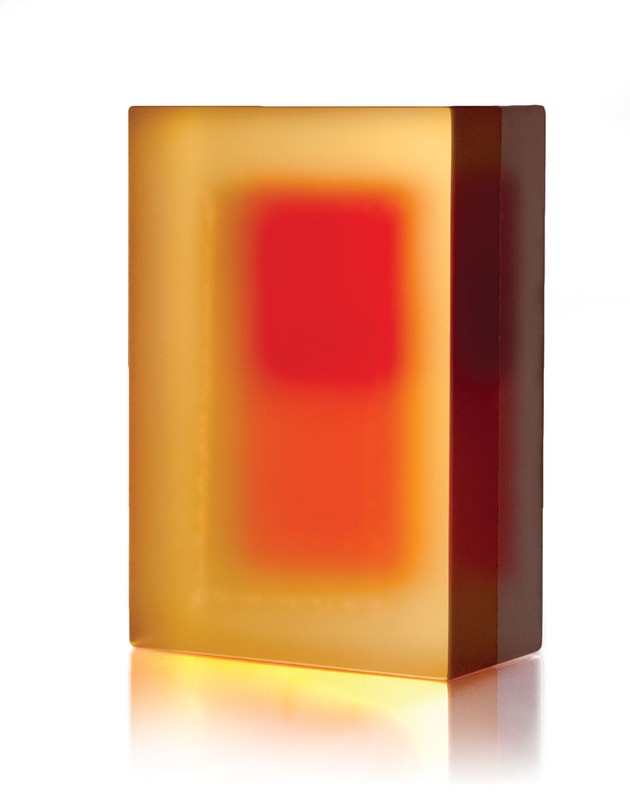 Red and Orange Squares, 2011; laminated, cold-worked optical glass; 7.75 x 5.2 x 3 in. 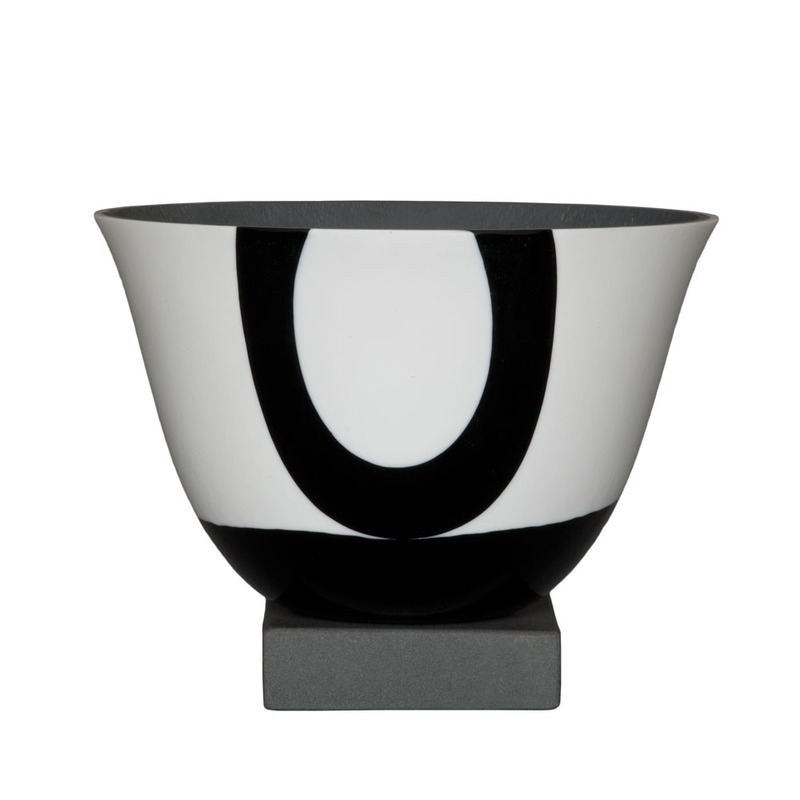 A bit of music is just one of the pleasures of Baer’s elegant, understated vessels and sculptures, which harbor rich depths within a pared-down format. Maybe it’s because, as a successful commercial photographer for more than 30 years, she knows how to visualize a scene, then capture light, movement, and meaning in a single frame. In both cases, there’s plenty of design and craft in the finished product. Baer’s photo portraits look fresh and spontaneous, but they’ve been carefully composed. Her glass work reflects not the fast dance of hot blowing, but rather the slow, deliberate methods of fusing, slumping, and lamination. 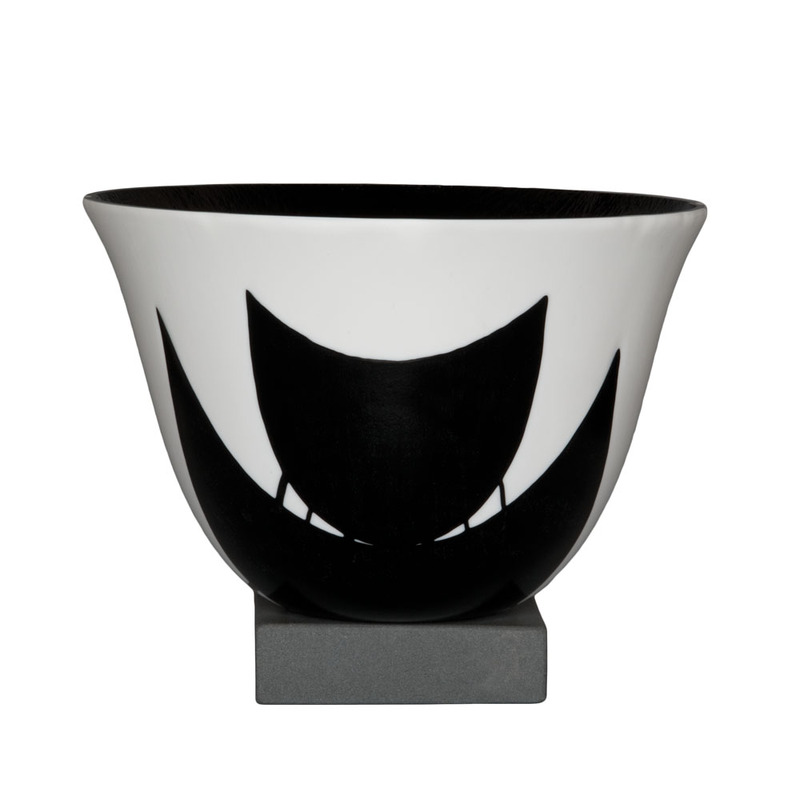 For her bowls, Baer arranges layers of sometimes hundreds of glass pieces into an abstract design (these days mostly in black and white), fuses it all into a disc, then subjects that to long, repeated firings until it slumps into a container form. 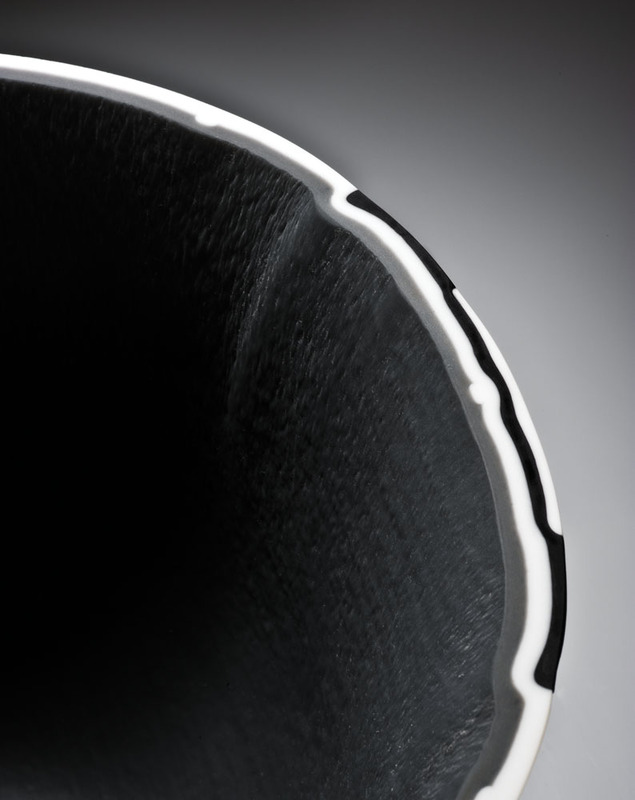 The result is a pristine vessel alive with surface tension and texture, inside and out; even the rim has its own pattern, “which sort of invites you in,” Baer says. 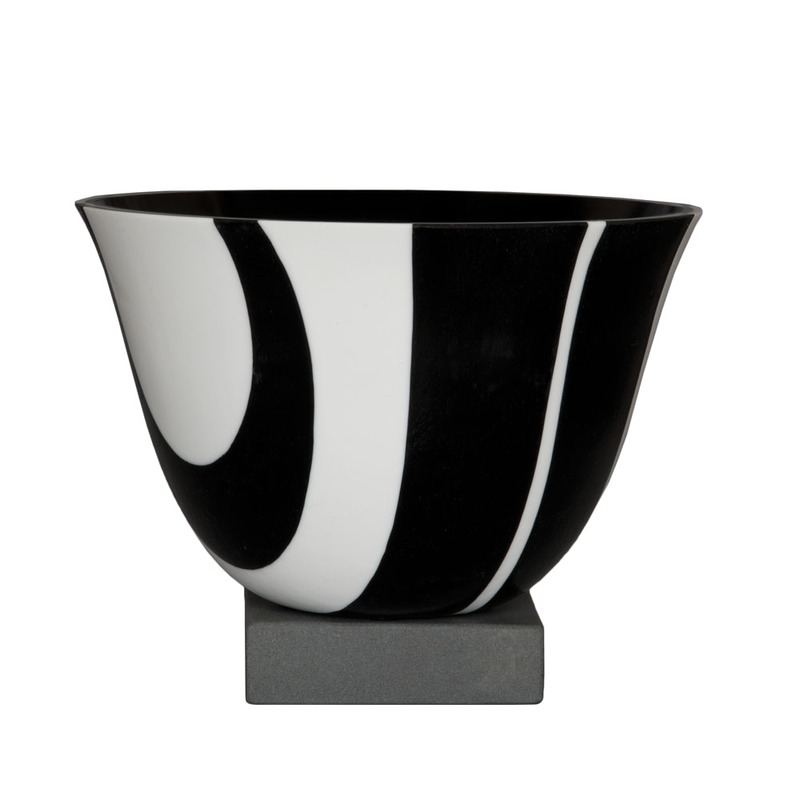 So far, so good: Collectors are buying, a bowl was recognized in the latest Emerge competition, and a sculpture appears in the Corning Museum of Glass’ 2012 New Glass Review. These days, Baer bounces back and forth between glass and photography, working out of the many-windowed “tree house” she had built on a wooded hillside in 2002. Modern, minimalist, and filled with natural light, it’s “the best art project I ever had,” designed totally for her, from low countertops and light switches (“I’m short”) down to a different chime for each doorbell. For Baer, the creative life is all of a piece. 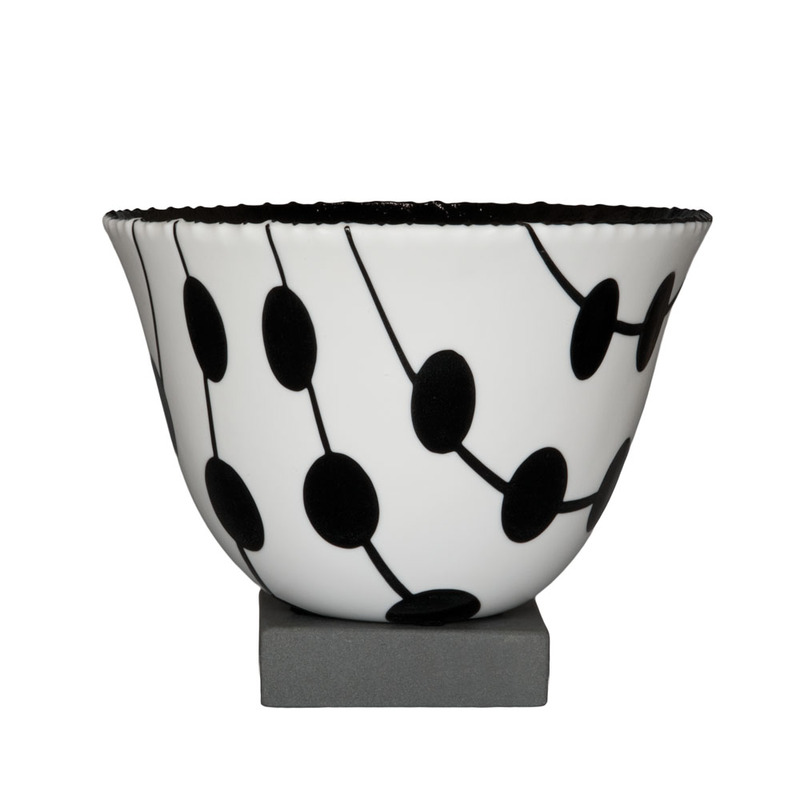 Enkomia, 2012; kiln-formed, cold-worked glass; 7 x 10.5 in. dia. Bucephalus, 2012; kiln-formed, cold-worked glass; 6.9 x 10.5 in. dia. 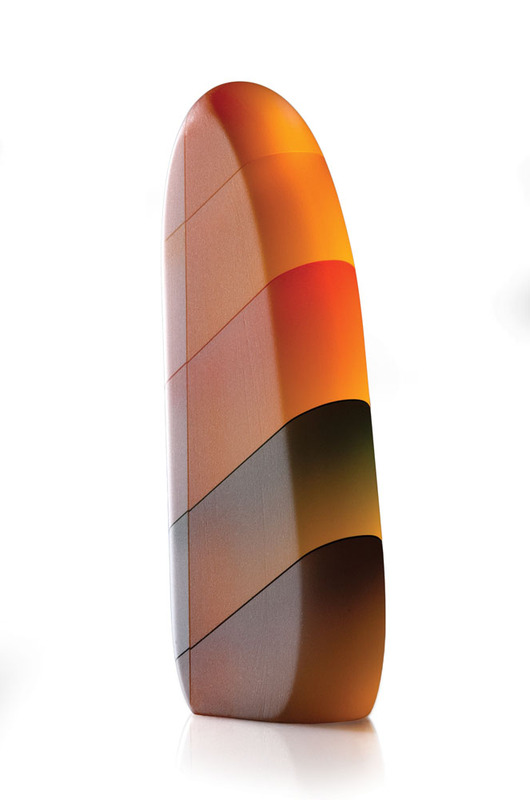 Turning Leaves, 2011; laminated, cold-worked optical glass; 9 x 3.5 x 1.5 in. Khoros, 2012; kiln-formed, cold-worked glass; 7 x 10.75 in. dia. Odysseus, 2012; kiln-formed, cold-worked glass; 7.25 x 10.75 in. dia.